We are happy to announce the launch of a brand new bluecataudio.com for the holiday season. Enjoy the new design and streamlined experience! That's another reason to celebrate the end of the year, so we are also launching our December deals today: 10 to 20% off all our plug-ins and bundles, until December 31st! And if you are already a registered customer, check your email: even better deals are available! We are happy to unleash Blue Cat's Plug'n Script 2.0, a brand new version of our audio and MIDI scripting plug-in, and Blue Cat's Crafters Pack, a new bundle for creative minds. This new version of the plug-in adds native compiled scripts support, a side chain input, auxiliary outputs, new skins, scripts and presets, a new user interface programming language and much more... Check out our blog for more details about V2! 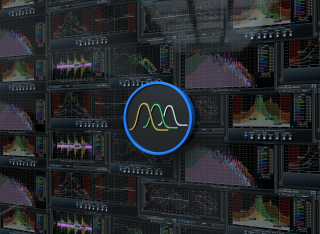 The new bundle gathers our most powerful software that will let you build your own custom audio toolbox. Check it out! Exceptionally, the upgrade to version 2.0 is free for existing users. A special introduction offer for both the plug-in and bundle are available for new customers until the end of December. Additional discounts apply to existing Blue Cat Audio customers, so check your email! If you have the opportunity to be in New York City at the end of the month, do not miss the IMSTA FESTA, on September 26th! 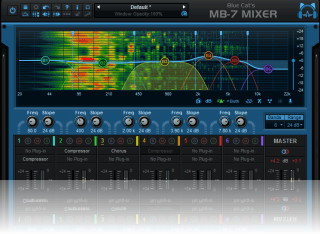 We'll be showing our latest releases: Blue Cat's Dynamics 4.0, the updated Multi series, and of course Blue Cat's PatchWork and MB-7 Mixer! You can register now on the IMSTA website, it's free! We are glad to announce an update for our multiple instances analysis tools! With these new versions, analysis curves can now be saved to file to be reloaded later as references: measure and save the characteristics of third party material to compare them with your own later and make it better! This update also includes several other improvements - see the plug-ins pages or our blog for details. As usual, this update is free for existing customers and is available for download using the link received by email upon purchase. 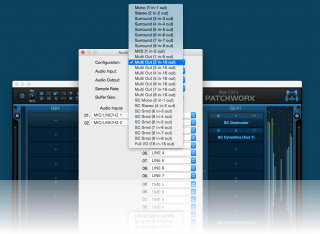 Blue Cat's PatchWork 1.71 and MB-7 Mixer 2.51 are now available for download! 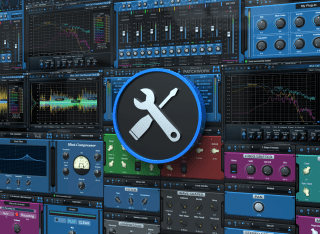 This is mainly a maintenance release that improves compatibility for the VST and AAX/RTAS versions but also adds quick save for last loaded preset. As usual, this update is free for existing customers and can be downloaded from the same page as the original full version. 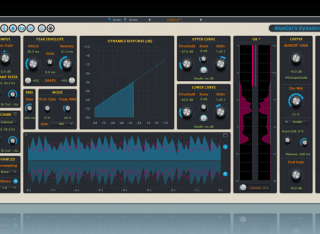 Looking for alternate skins for the new Blue Cat's Dynamics 4.0 plug-in? Check out this new light theme created by SatYatunes! 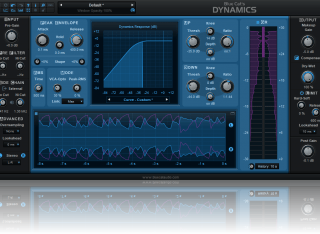 If the plug-in is not part of your collection yet, please check our overview video or download and try the demo: you can purchase Blue Cat's Dynamics 4.0 with 33% discount until July 15th! SatYatunes has kindly updated his dark and silver free skins for Blue Cat's PatchWork to support the latest features brought by version 1.7: they now include a generic skin for plug-ins that do not have a user interface and support the extra side chain input and auxiliary output channels. Check out the updated skins and please consider making him a donation if you like them! 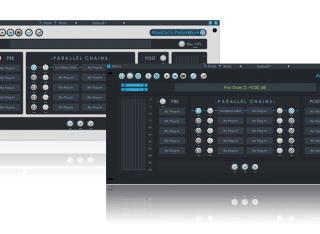 External side chain input for hosted sub plug-ins (which can now be applied to specific audio channels), "gui-less" plug-ins support, presets recall via MIDI, more precise and faster crossover filters, improved plug-ins compatibility... Check out the MB-7 Mixer plug-in page for the complete list of improvements. With up to 16 I/O channels for the standalone application, external sidechain input for the effect and auxiliary outputs for the instrument, Blue Cat's PatchWork external connection capabilities have been brought to a new level. After a short break for the NAMM Show, we are back! 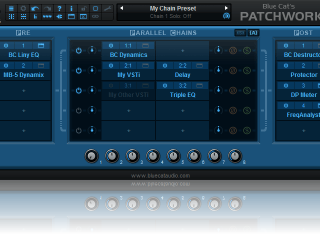 Blue Cat's PatchWork has just been updated, with "guiless" plug-ins support, the ability to load presets via MIDI as well as a couple of compatibility improvements for Audio Units on Mac. Meet the Cat in Anaheim this week! We'll be at the NAMM show (January 22-25) this year. So please stop by our booth #6242, hosted by Music Marketing. We'll be glad to show you a demo and discuss our latest releases! To celebrate 2015, we are releasing a new version of Blue Cat's PatchWork, including a brand new light theme skin, new skin selection features and more. This update is free for existing customers and can be downloaded from the same page as the original full version. Enjoy! Looking for older news? Please consult the 2014 News page.